I’ve often found that when you mention visiting Cuba to someone, it’s undoubtedly the case that you will be asked about a combination of the following things – communism, cigars, rum, music, and classic cars. It’s not without good reason that these are common topics, but the diversity of this unique Caribbean island avails so much for adventurous souls looking for new paths to explore. 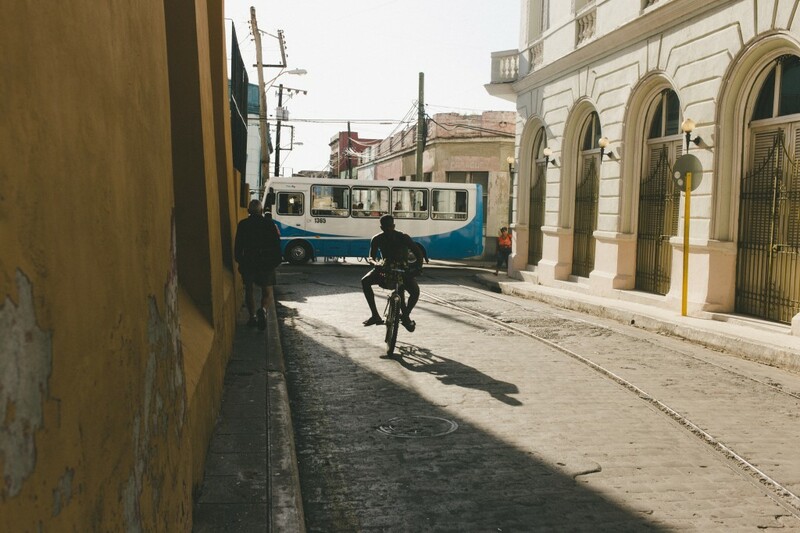 My time traveling to Cuba with smarTours began at the heart of the country’s biggest city – Havana. 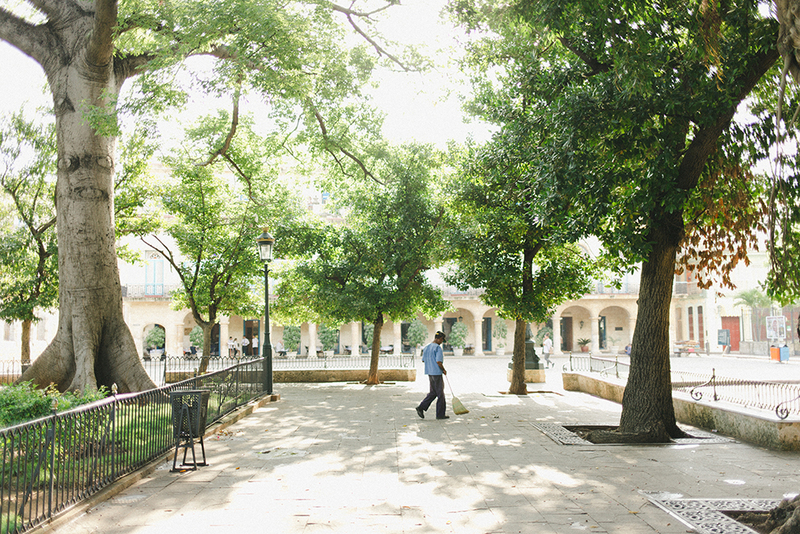 Greeted by a local guide and expert on the history of the surrounding architecture in Old Havana, we walked cobblestone streets and learned about the Spanish influence on the colonial-era buildings. I was fascinated by the information being shared, yet I couldn’t help but be distracted as I watched locals navigating their morning. A young couple walked by drinking café cubanos, carrying a newspaper and briefcase. 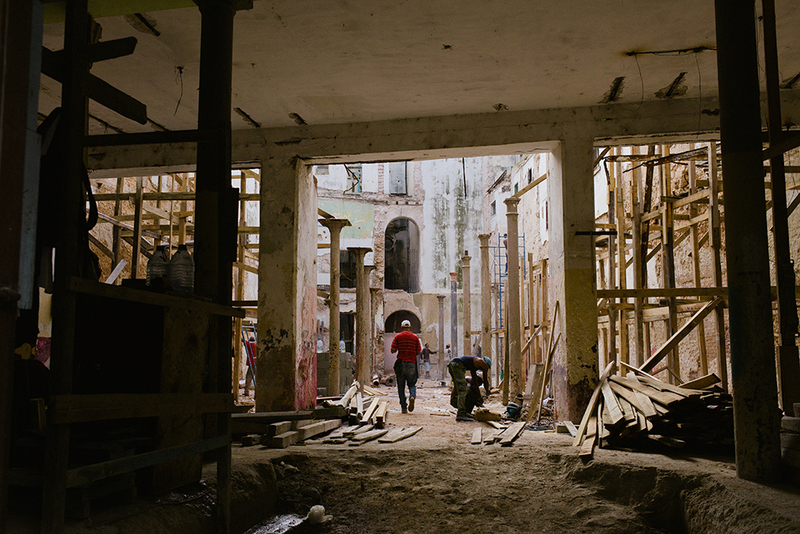 A group of construction workers hauled materials in a wheelbarrow for a restoration project. An old man swept in the park. Each little vignette revealed a more intimate reflection about what daily life as a Cuban could look like. Capturing these moments in my photographs became a theme of how I enjoyed my travel experience. The next step in the journey with my travel companions brought us from Havana to the city of Sancti Spíritus, one of the oldest settlements in Cuba and the capitol of the Sancti Spíritus province. We arrived at our hotel to find it perfectly positioned on the edge of Parque Serafín Sánchez, the central park of the city and a meeting place for visitors and locals alike. Late into the evening children gleefully chased one another around a fountain positioned in the middle of the park. Nearby speakers pulsed familiar songs as karaoke patrons did their best to sing along and entertain the on looking crowd. The recent addition of Wi-Fi to the location has made it a popular spot for people to connect for a moment to search the Internet or communicate with loved ones. The pleasant warm breeze paired with a delicious Cuba Libre made for a relaxing time of reflection and people watching. Rich in cultural history, Cuba is home to nine UNESCO World Heritage Sites. Of those, we had the pleasure of visiting Old Havana, Cienfuegos, Camaguëy, and Trinidad. A town that thrived in the boom of the sugar cane industry, Trinidad sits adjacent to the Valley de los Ingenios and is now known for producing tobacco. Breathtakingly preserved, I found myself transcendently returning to a time when the sugar trade drove life in the colonial town. 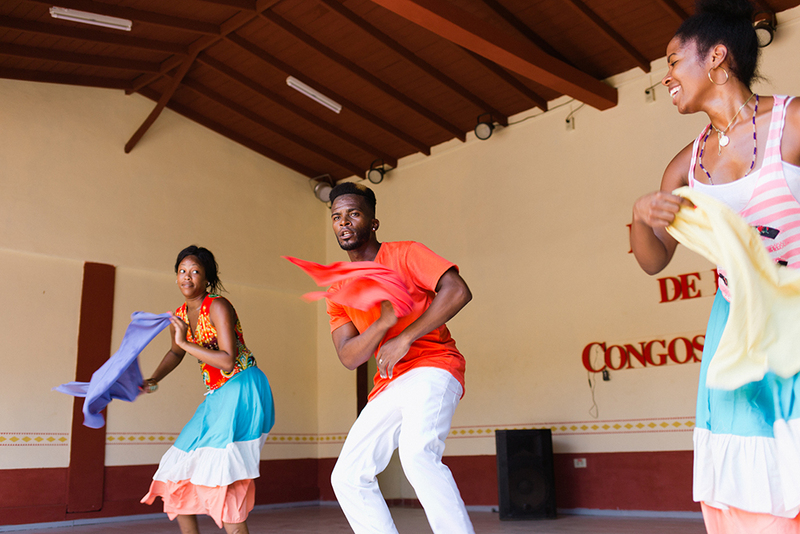 The Afro-Cuban influence can be felt and experienced through art, music, and dance in Trinidad at Palenque de los Congos Reales. The performance center exhibits centuries old traditional folklore performed to the steady beat of conga drums. Volunteers keep these stories alive while working other jobs in different fields. 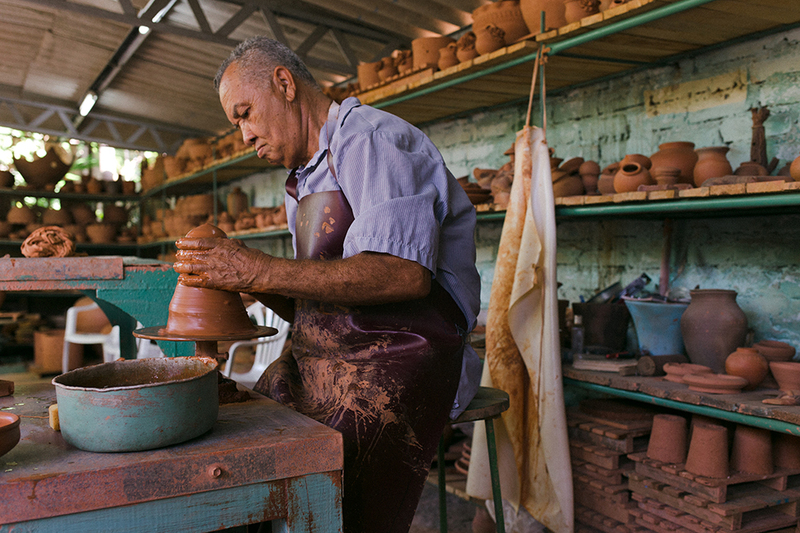 It’s without question that one of my favorite moments during my time in Cuba was visiting the home and studio of Bernardo Valeriano Casanova Fuentes – ceramic artist based in Camagüey. 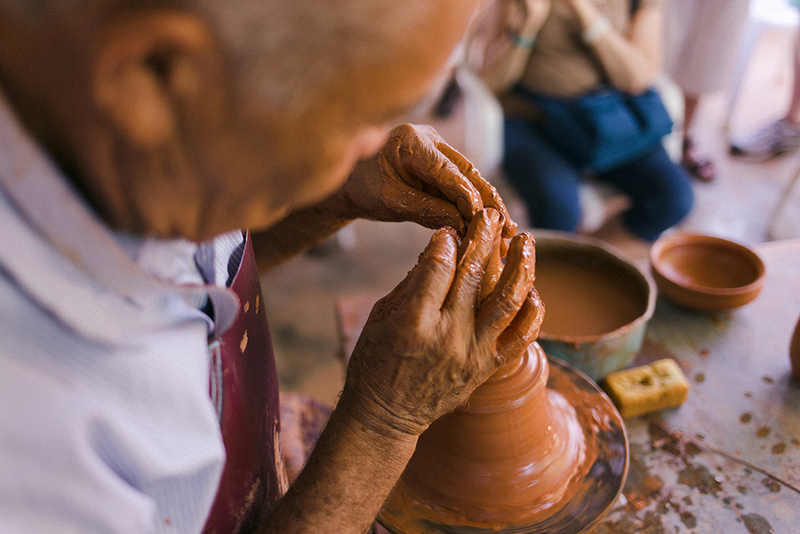 He spoke only a few words, instead allowing his son to share his story, as he attentively formed piece after piece at his workbench and potter’s wheel. In a matter of ten minutes, Bernardo produced a diverse collection of artifacts from single slab of clay. His property was modest, well lived in, and beautiful. It wasn’t flashy or showy, but encapsulated the sustainable life he has found doing what his loves everyday. Cuba has something to offer to all kinds of visitors – classic car enthusiasts, cigar aficionados, history buffs. 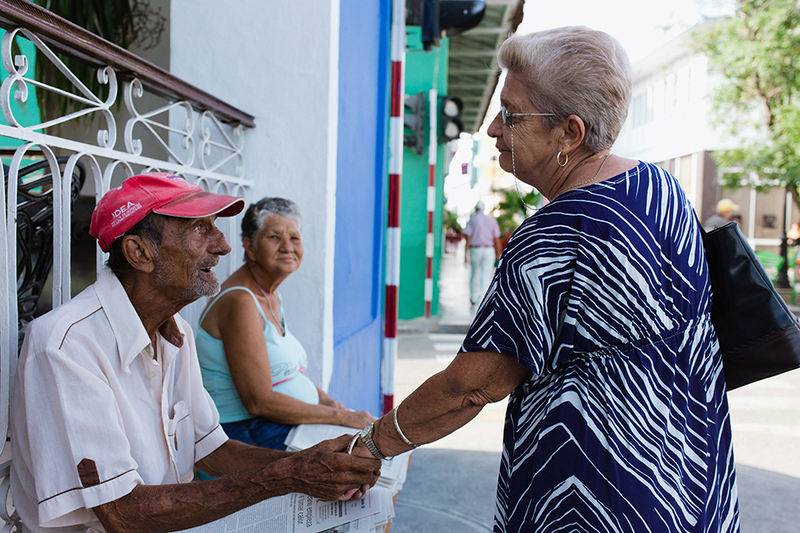 More than anything, I found for myself that the daily life of the Cuban people was the most intriguing and beautiful facet to my visit. Interested in learning more about Ben’s journey? Read more about it on AFAR.com, the USTOA blog and check out check out smarTour’s The Best of Cuba tour.